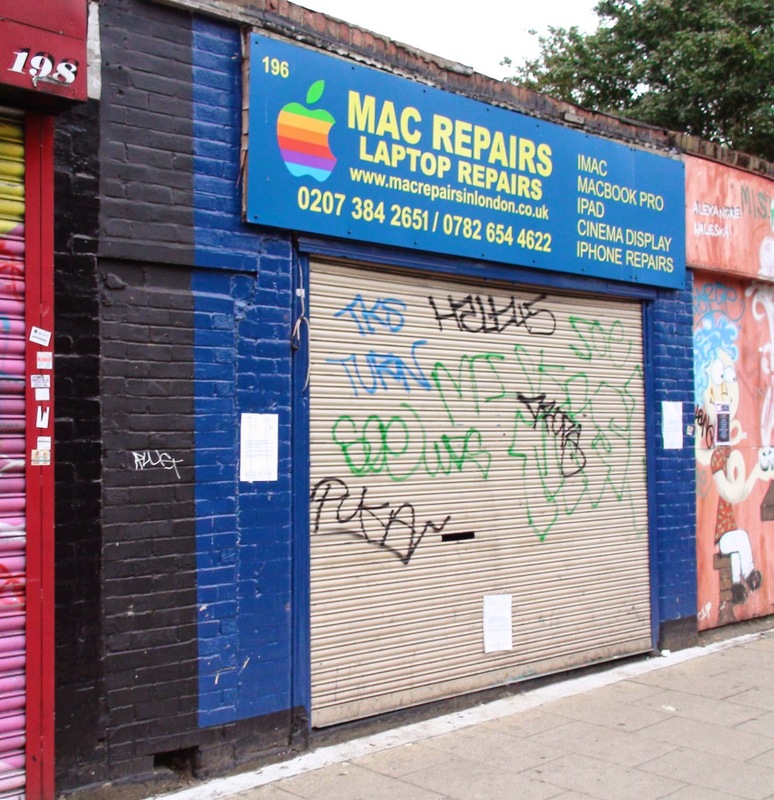 "Mac Repairs had no entitlement in law to possession of these premises." 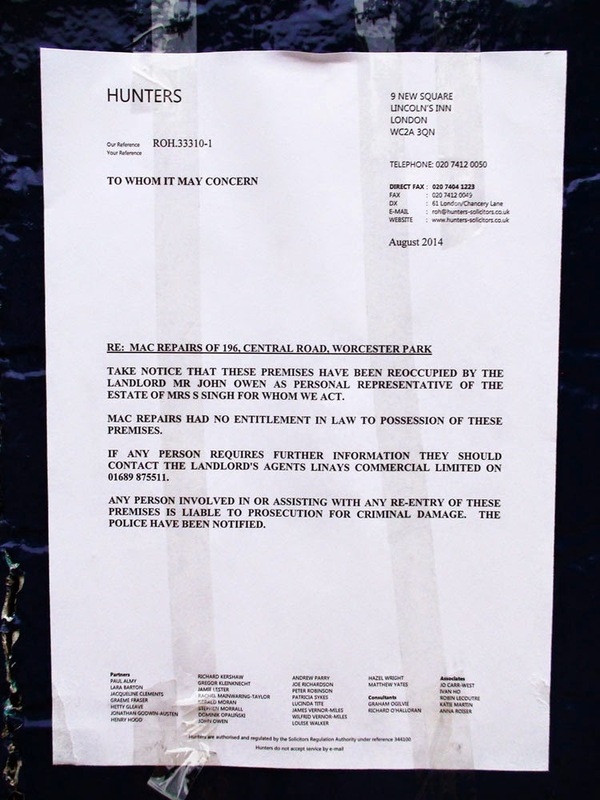 According to a nearby local trader, the same landlord owns all the shops there. Linays Commercial are the agents both for this shop and also for the old Cuppaholic shop further up which is up for sale. So with people around who know how to contact the landlords and their agents, it surely can't have been that hard to find out who to talk to about taking out a proper lease on the shop.